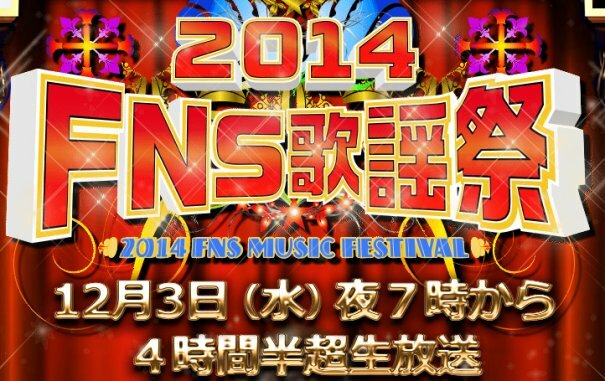 A total of 66 artists are lined up to perform on Fuji TV's 2014 FNS Kayosai, which will be held on December 3rd at 7 p.m. The show will be hosted by SMAP's Tsuyoshi Kusanagi, Fuji TV announcer Ayako Kato, and freelance announcer Aya Takashima. Some of the 23 artists that has been added to the already long list of performers for the event are Ikimonogakari, Rina Katahira, Crystal Kay, Tetsuya Komuro, Golden Bomber, miwa, and Nao Matsushita. As of now, here is the updated list of artists that will be rocking the event. According to the network, more artists will be revealed soon.